The most popular sport in America is back - Football. Is your team spirit showing? Hat, jersey, socks, suspenders...paracord! There are an infinite number of ways you can cheer for your favorite team while sporting paracord. Bracelets for the whole family, necklaces, lanyards, and even can coozies are all things that can be personalized for your favorite team. But where do you begin to make something representing your team? Answer: paracord Combo Kits. We have some that are perfect for making items to easily match your team on Sunday. Another option is to pick your own 550 cord and make football themed paracord bracelets for your team. 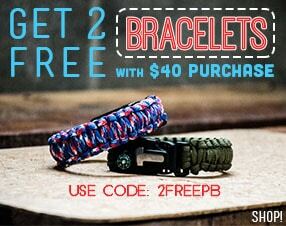 In the bracelets above, they're done with multi-colored or solid colored paracord to represent a certain team. That's one of the best things about crafting with paracord - it's completely customizable to what colors and weave you want. Another bonus of making your own team-themed projects is that no piece needs to go to waste. For instance, if I wanted to make a bracelet for a San Francisco 49ers fan, I would get Black Paracord, Imperial Red Paracord, and Gold Paracord. With my left over cord, I would then use the red and gold to make a Christmas decoration! 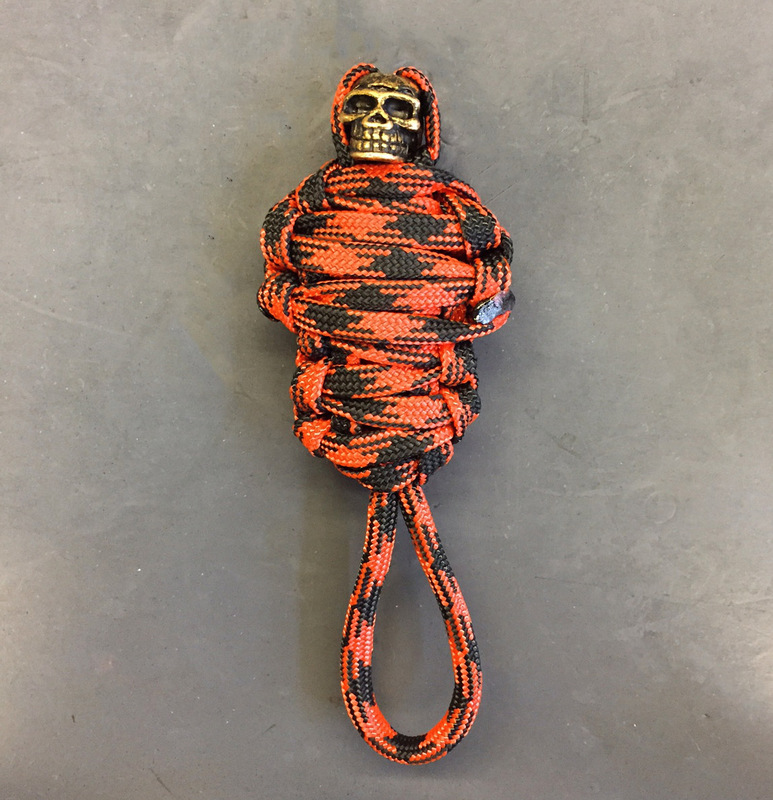 Or if I was making a lanyard for a Cincinnati Bengals fan, I would use Black Paracord, White Paracord, and Orange Paracord (you could even use multi-colored paracord such as Harley or Orange You Happy to create a really unique piece) then use the leftover scraps to make a Halloween themed bracelet or paracord mummy. As I said above, there are an infinite number of ways you can use paracord to wear your football team colors to suit your style. That is really one of the best things about crafting with paracord, all your pieces can be one-of-a-kind if you make it yourself. You can do two color, three color, and even four color bracelets to really show off your team spirit and personalization. Check out our video tutorials for tons of different bracelet ideas and make one yourself! 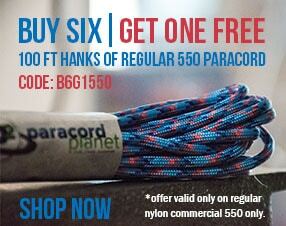 Don't forget to get your 550 paracord for your team. You can make football inspired bracelets! The options are endless. You can make these for a school fundraiser, give to the winner of a fantasy football league, or just for for your football season everyday wear. If you want to learn the bracelet on the right, the Jagged Ladder, click here. The bracelet on the left is very easy to make. It is simply gutted cord weaved into the Cobra bracelet with a fid. Happy Cording! What would you add to this list? 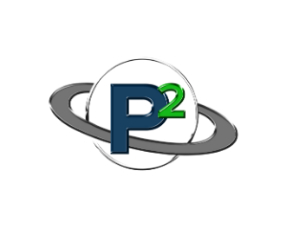 Let us know on Facebook, Twitter, Pinterest, Google+, and Instagram.